Irish 420 dinghy youth pairing Douglas Elmes and Colin O' Sullivan got an ISAF Youth Worlds boost at the weekend when they won the UK 420 End of Season regatta at Grafham Water Sailing Club. As Afloat reported previously, Elmes and O'Sullivan lead by four points from Max Clapp and Ross Banham after the first day. The series was cut short when strong winds cancelled the second day of racing yesterday. Eight Irish boats travelled to the Huntingdon venue for the 2015 420 End of Season event. 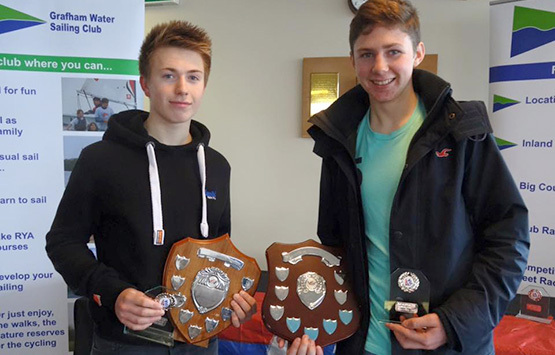 The UK Association generously wished the pair luck in the Youth Worlds Elmes and O' Sullivan head off on 23 December.